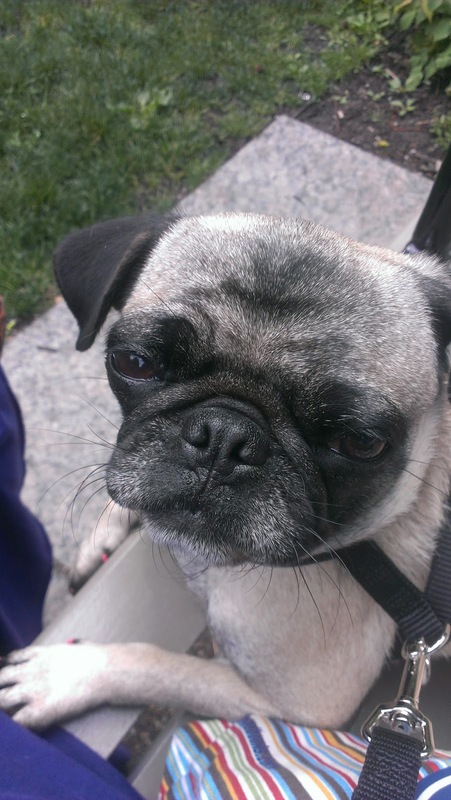 I know it's been more than a week since I've updated the blog and I've been feeling quite guilty over it but I have a good reason: Last weekend, my boyfriend and I adopted a pug. This little girl has been making her owner one exhausted lady. So today I decided I really needed to get things back to normal and since I still can't think of anything to write about, I decided to finish the rest of the buttermilk I used from last week's recipe to make cupcakes. These cupcakes were so easy to make,* just don't fill the cupcake tins all the way or else they will overflow (which happened to me several times). 1. 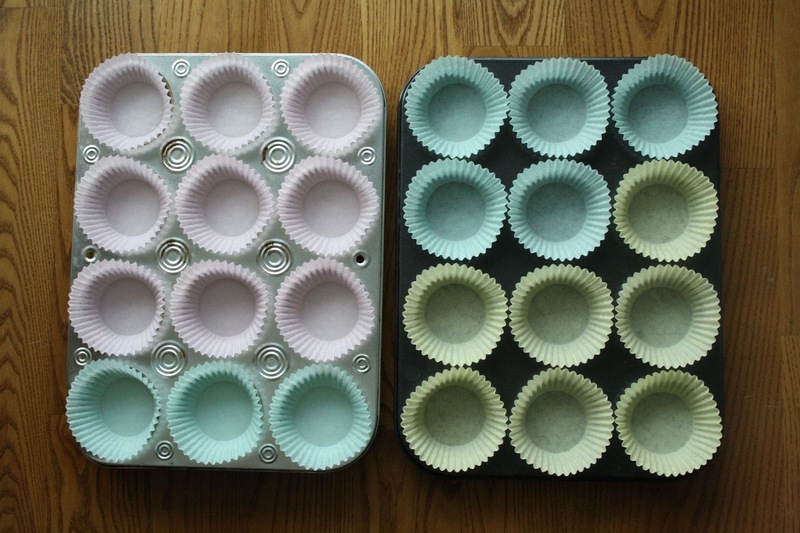 Preheat the oven to 350 F. Line standard muffin tins with paper liners. Sift together both flours, baking soda, baking powder and salt. 2. 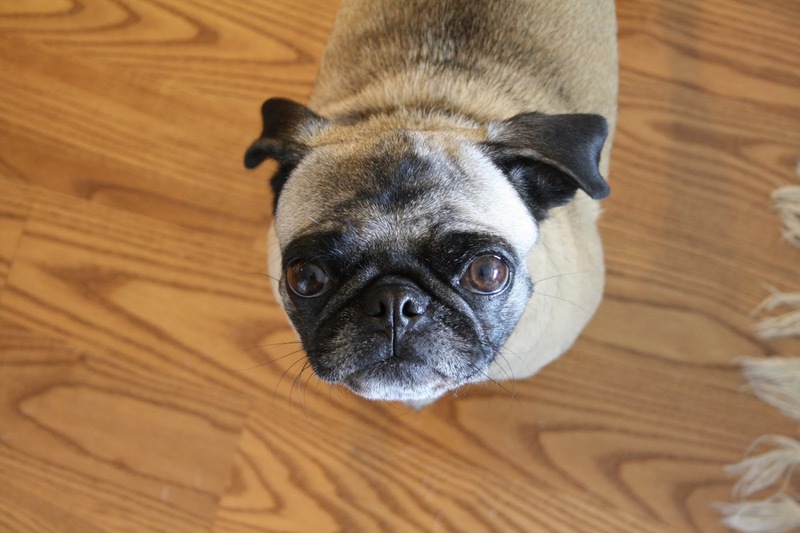 With an electric mixer on medium-high speed, cream butter and sugar until fluffy. Reduce speed to medium. Add whole eggs, one at a time, beating until each is incorporated, scraping down sides of bowl as needed. Add yolks, and beat until thoroughly combined. Reduce speed to low. 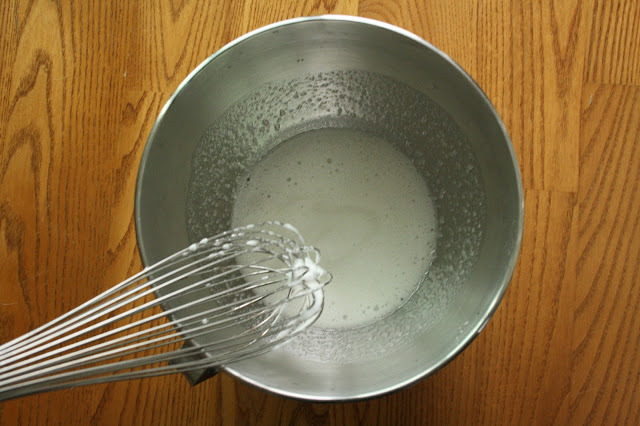 Add flour mixture in three batches, alternative with two additions of buttermilk, and beating until combined after each. Beat in vanilla. 3. Divide batter evenly among lined cups, filling each three-quarters full. Bake, rotating tins halfway through, until cupcakes spring back when lightly touched and a cake tester inserted in centres comes out clean, about 20 minutes. 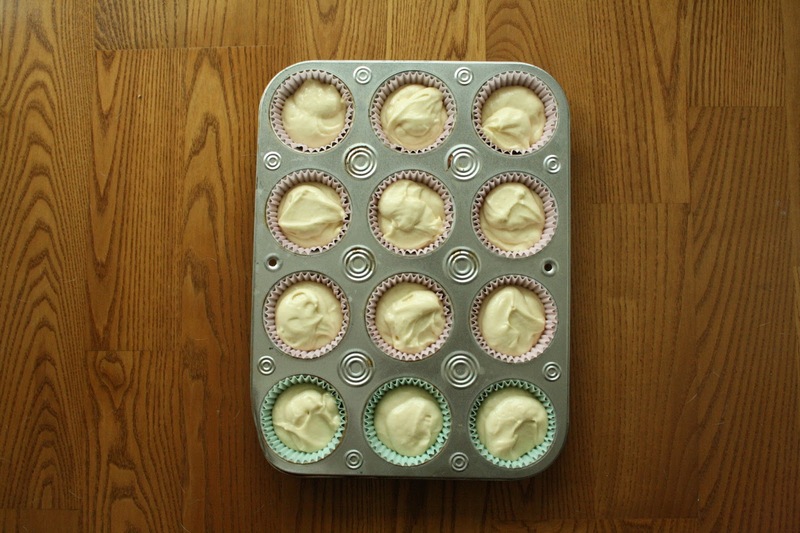 Transfer tins to wire racks to cool for 10 minutes; turn out cupcakes onto racks and let cool completely. 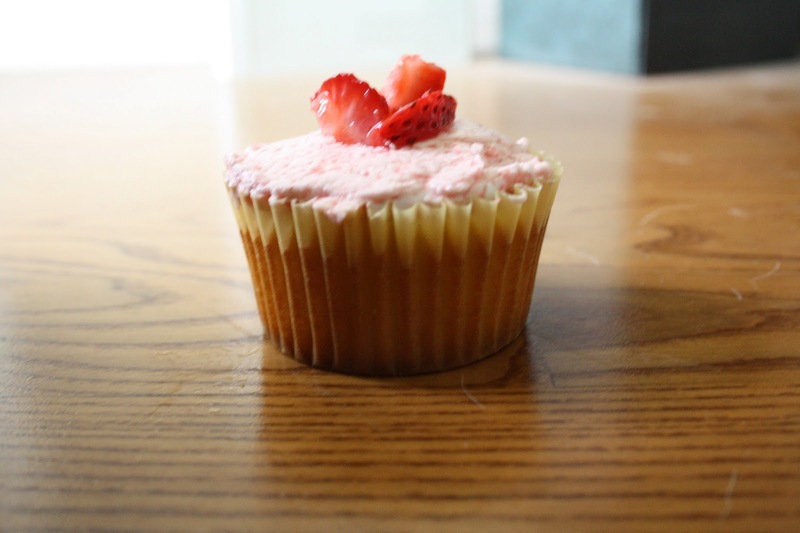 Cupcakes can be stored overnight at room temperature or frozen up to two months in airtight containers. 4. To finish, use a small offset spatula to spread cupcakes with frosting. Refrigerate up to three days in airtight containers; bring to room temperature and, if desired, decorate with sprinkles before serving. I messed this up. 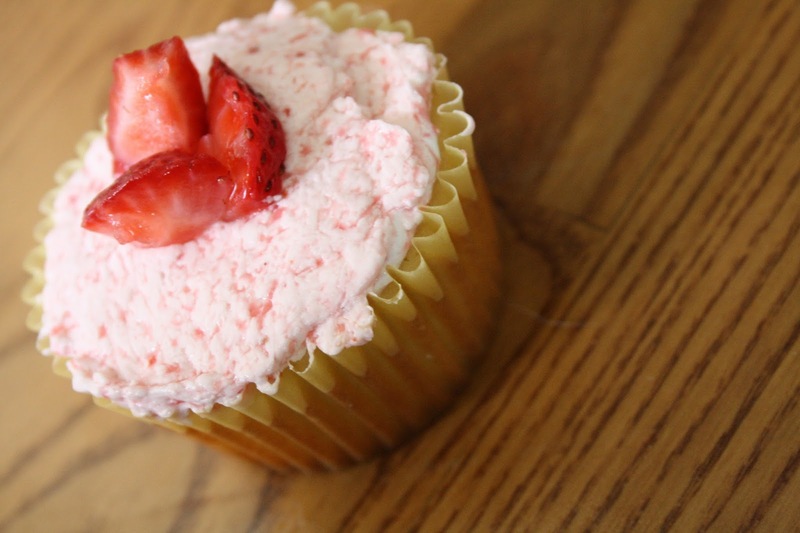 The picture in the book showed a buttercream that looked like perfect strawberry ice cream on top of the cupcake. Mine came out looking like curdled bloody milk. Ew! It may have been because I didn't use a paddle attachment on my mixer (I used a flat attachment) or maybe I didn't whip the sugar and egg whites enough. Whatever it was, it did not look good. In fact, when I used the icing bag, it came out looking like, and I'm not lying here, poop. I'm too embarrassed to share those photos so I ended up spreading the buttercream on the cupcakes and adding strawberry pieces on the top to make it look pretty. So... make this at your own risk. 2. Attach the bowl to the mixer fitted with the whisk attachment. Starting on low and gradually increasing to medium-high speed, mix until stiff (but not dry) peaks form. Continue mixing until the mixture is fluffy and glossy and completely cool (test by touching the bottom of the bowl), about 10 minutes. 3. 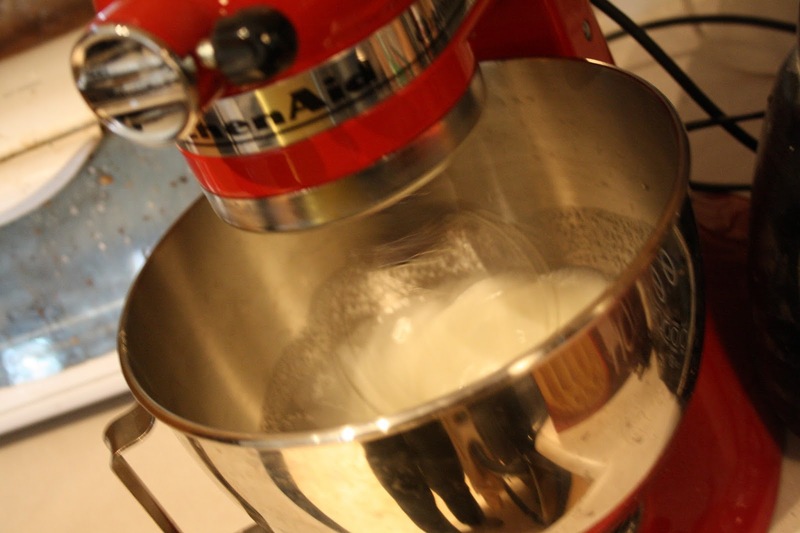 With mixer on medium-low speed, add the butter a few tbsps at a time, mixing well after each addition. Once all butter has been added, scrape down sides of bowl with a flexible spatula and switch to the paddle attachment; continue beating on low speed until all air bubbles are eliminated, about 2 minutes. Add strawberries and beat until comnined. 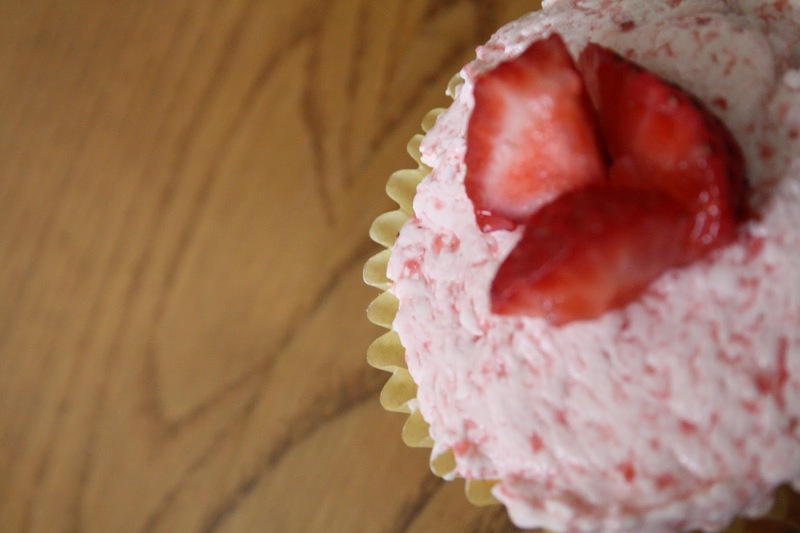 Stir with a flexible spatula until the frosting is smooth. Keep buttercream at room temperature if using the same day or transfer to airtight container and refrigerate up to three days or freeze up to one month. Before using, bring to room temperature and beat with paddle attachment on low speed until smooth again, about five minutes.